Priscilla Ahn is pleasantly surprised by how many people turn out for her performances, which not only speaks to her down-to-earth yet sunny disposition, but also to how much a burgeoning audience appreciates her music. It’s of little wonder, though, that her music appeals to people as it does. With her splendid debut album, A Good Day, the singer/songwriter imparts her serene folk/pop songs with a voice undeniably striking in its purity and allure. 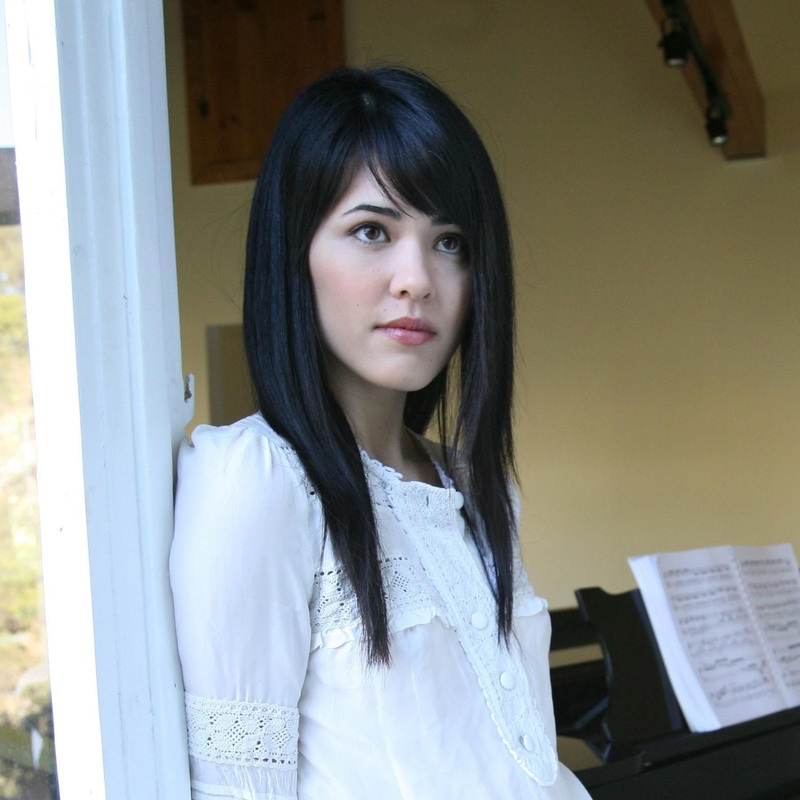 Presently on her first headlining tour, she’ll subsequently join an all-female lineup—along with such artists as Rachel Yamagata, Meiko, and Jenny Owens Young—for this fall’s installment of the Hotel Café tour. Graciously taking time to engage in an email interview, Ahn discusses topics including how she perceives success, how living in Los Angeles has fostered her songwriting, and what classic songs she wishes she’d written. You recently started your first headlining tour. How is it going so far? So far so good! I’m actually surprised at the turnout at the shows. I expected maybe 30 people to know me in each city, but around 100 – 200 people have been showing up, which is a really good feeling and a really nice surprise! A Good Day has such a serene vibe, reminiscent of records that came out of Laurel Canyon in the '70s. How has living in California affected your songwriting? Well, the reason I moved out to L.A. was because of its vibe. It’s a little mellower to me than living in New York City, and the weather is always pretty calm and nice. I've always sort of written mostly mellow songs. But I have done a lot of growing up since I’ve lived in L.A. and that definitely gives me a different point of view when I start writing a song. I have more confidence; I know what kind of music I really like, and how I like to sing it. The album's first single, “Dream,” seems quite an existential lyric for anyone to write, let alone someone so young. Was there anything in particular that inspired that song? I think [that’s] just me recalling childhood memories, thinking of myself back then, and then growing up and how I can look back on my life some time from now, hopefully. I like to daydream about my past and my present and future. What are a few of your favorite novels and/or books of poetry? I love e.e. cummings. Jack Kerouac was a huge inspiration; one of my favorites of his is The Town and The City. And I love reading David Sedaris. He always makes me smile, while keeping it real, even touching. Before you begin recording and mixing, how do you know when a song you're writing is complete? Do you run it by anyone before you consider it fully realized? I know when a song is complete when I stop adding things to it or feeling the need to change anything in it. I know when I keep singing it the same way over and over again [that] I like it. I’ll usually run it by my boyfriend. He’s a good listener because he gets my writing and offers kind support. On the album, you cover Willie Nelson’s “Opportunity To Cry.” Do you play any covers in your live show? Yes, [I play] that one, and “Masters In China,” which is a Benji Hughes song. A lot of songwriters wish they had written a song that someone else has written. Is there a song that, in a perfect world, you wish you’d written? Yes, [I wish I’d written] “Sugar Mountain” by Neil Young and "Look At Me" by John Lennon. You've mentioned in other interviews that Neil Young is one of your favorite musicians. If he could play any five songs for you in a command performance, which ones would you request? Are you always in search of your next song—jotting down words and phrases or playing melodies—or is songwriting something for which you set aside a certain allotment of time? Allotting writing time never really works out for me. It doesn’t feel very natural when I set aside time for it; it feels more like homework. So when something strikes me, I pick up the guitar and a pen and paper as fast as I can and see how far I can go with it. Success for me is simply being able to make a happy living doing what I love to do, which right now is writing and performing. If I can do that—and be able to afford rent, food, and car payments—I’ll be pretty happy! 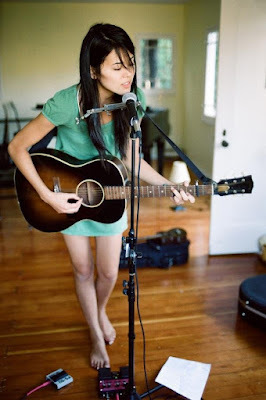 Don’t miss Priscilla Ahn as part of the Hotel Café fall tour, which begins on October 8 in Los Angeles. A full itinerary will be posted at the tour’s official site on August 18 along with information regarding a ticket presale commencing the following day.